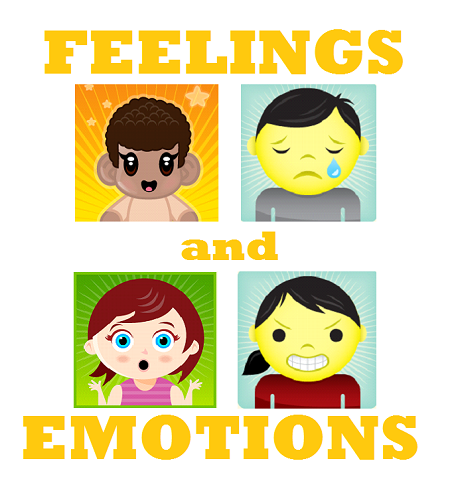 “Feelings and Emotions Week” is next! 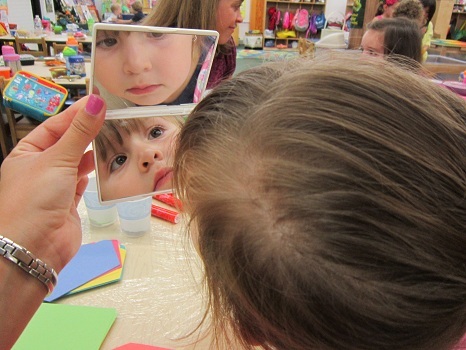 “All About ME Week” was simply outstanding! The second week of the 2011-2012 school year was such a great one; we simply cannot wait to see what the rest of the year has in store! 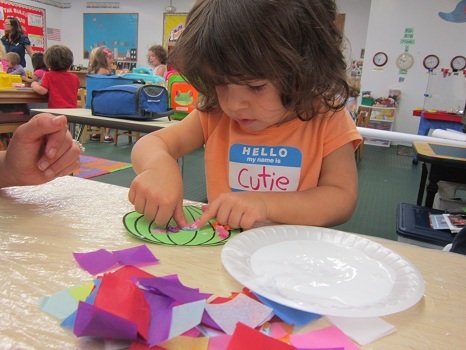 Read on below to learn all about the fun that was had and learning that took place! After having a phenomenal first short week of school, the students returned to PPA ready to get right to work on Monday! Seeing that the theme for the week was “All About ME”, the students spent the entire week getting to know their friends (and teachers) by discussing what makes them unique and what makes them similar to their friends. The students’ homework assignment to create an “All About ME” poster really helped everyone learn about each other! Throughout the week, the students took turns coming up in front of their classmates and telling (or sharing) all about their poster. By the end of the week, the teachers had strung together the AMAZING “All About ME” posters to be displayed throughout the classroom. As you can see, the students (and families) of PPA did such a fabulous job on these posters. After story time and morning meeting each morning, the students headed off to their morning activity stations. In small groups, the students worked and played around the classroom. 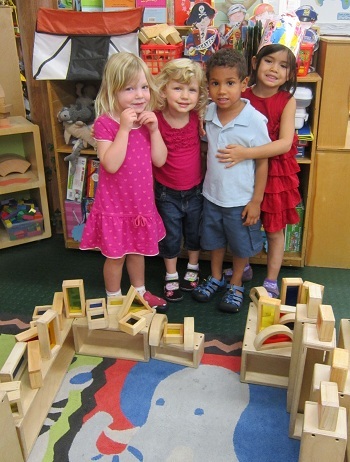 Take a look at this excellent city that was constructed in the block area! While working in their morning stations, the students were called over by the head teachers to begin their morning work. 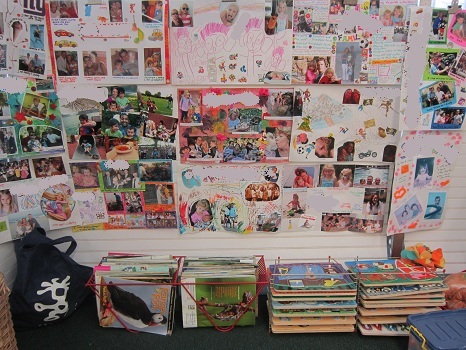 Each activity that the students worked on throughout the week related back to the theme of the week – “All About ME”. 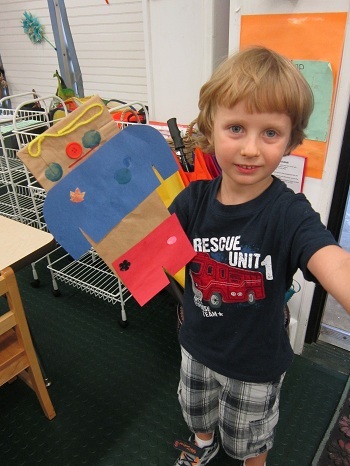 On Monday, the students created an “All About ME” inspired puppet! 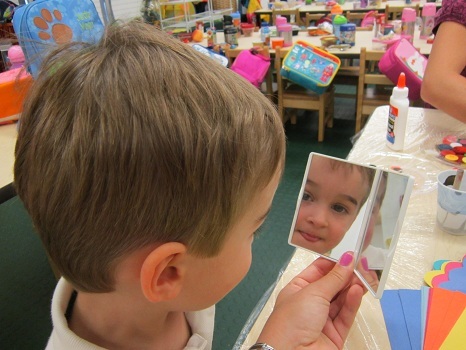 The students peered into a mirror to identify the various parts needed in order to assemble the puppet appropriately. Needless to say, this was a fun part of the project. 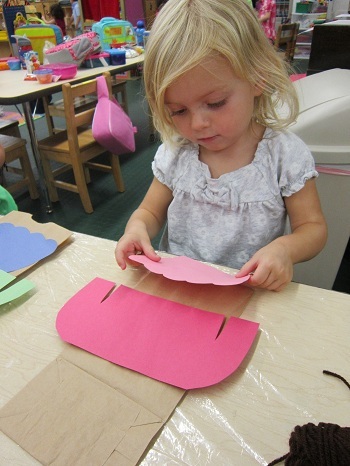 Depending on what color the students’ eyes, hair, and clothes were – the puppet was constructed to match! Here is how the completed “All About ME” puppet turned out! 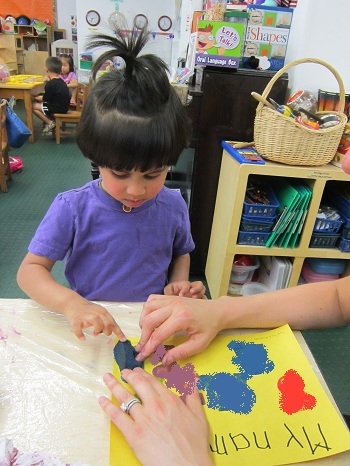 During the afternoon throughout the entire week, the students practiced an activity known to PPA as “Charting”. 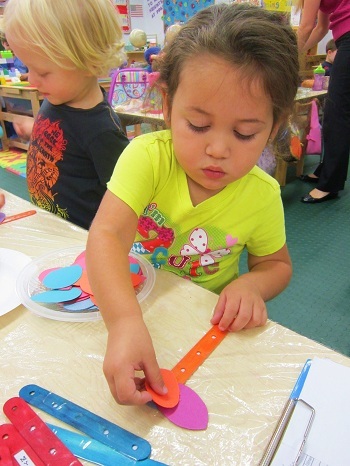 Charting is an activity that is done everyday at PPA to help practice very important mathematical skills including counting and comparing number values, organizing data, recognizing and writing numbers and more! Throughout the week, the students charted about everything including their hair color, age, gender, hometown, and favorite food! Below is the chart that was created to determine (or find out) how many boys go to school at PPA and how many girls go to school at PPA. 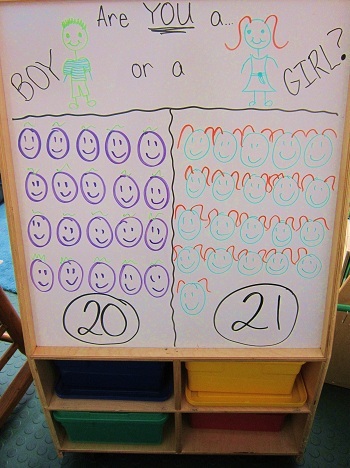 In order to complete this chart, the teachers asked each student the question, “Are you a boy or a girl?” Each student responded and their smiley face was added to the board to represent their answer. 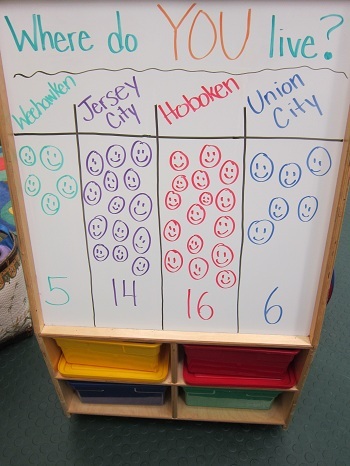 Once all the students had answered the question, the students counted the smileys and learned that there are 20 boys and 21 girls at PPA (on Wednesday). 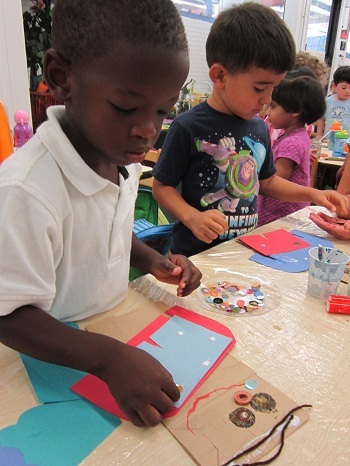 For their morning work on Tuesday, the students created special Name pages using letter stampers. The students had to identify and find the letter stamp of each letter in their name then stamp it onto the paper. Since it is the policy of PPA to never publish a photograph of a student and his/her name, the student below is holding the teacher sample. For their morning work on Wednesday, the students were asked to bring in a family photograph. 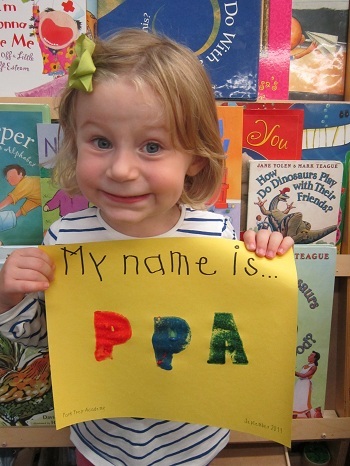 This photograph would be used to help them construct a PPA student family portrait. 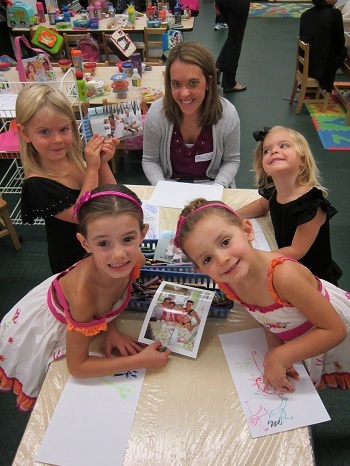 Using crayons, the students began drawing and their family portraits started coming to life. Here are some of the family portraits. The family portraits were so amazing that they will be kept at school to be displayed on a clothesline in the classroom so everyone at PPA can see them! 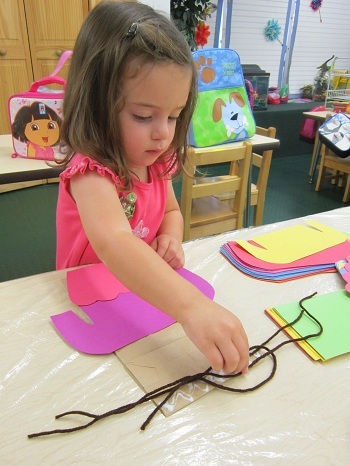 For their morning work on Thursday, the students created another craft which would help decorate the classroom! 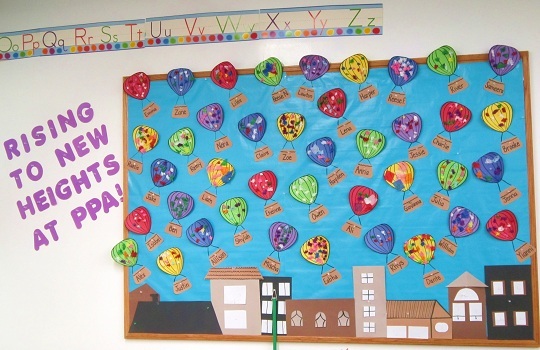 The students crafted a tissue paper hot air balloon which would be displayed on a bulletin board in the classroom with a message, “Rising Up To New Heights at PPA!”. Just like the hot air balloons they created, the students will be rising up throughout the school year as they continue to grow and learn throughout the 2011-2012 school year. Here is what the completed bulletin board looks like. 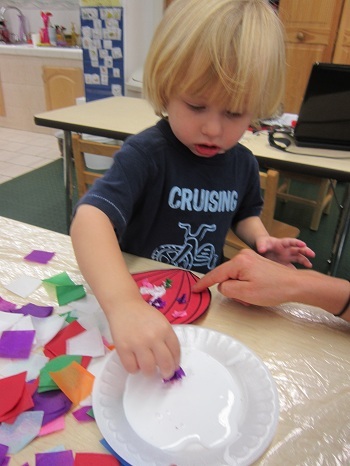 On Friday, the students created their very own Family Flower! 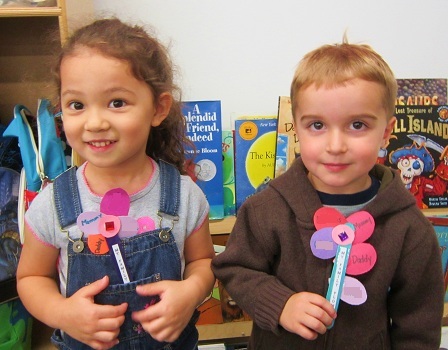 The number of flower petals the students selected depended upon how many people there are in the students’ families. The petals were labeled with the names of each family member and a gem was added to the center and the flowers were complete! Here is a glimpse into some of the fun the students had with the parachute at the park on Friday. Wow! What a great week “All About ME Week” was. The 2011-2012 school year is bound to be a fabulous one! As always, thank you for reading and we will see you next week!